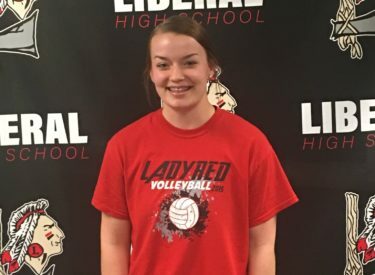 Liberal senior softball player Kaeleah Chaloupek is the Hay Rice and Associates Athlete of the Week. Chaloupek has helped Liberal get off to a 4-0 start with wins at Ulysses and home with Scott City. Chaloupek is 2-0 with a save as a pitcher. She has 13 strikeouts and three walks. Her ERA is 3.18. As a hitter, Chaloupek is hitting .400 with the team’s only homer and seven RBI’s. Kaeleah has two doubles. Chaloupek also played volleyball and is a member of NHS.